You don't need a lot of time or even effort to upgrade your outdoor space. 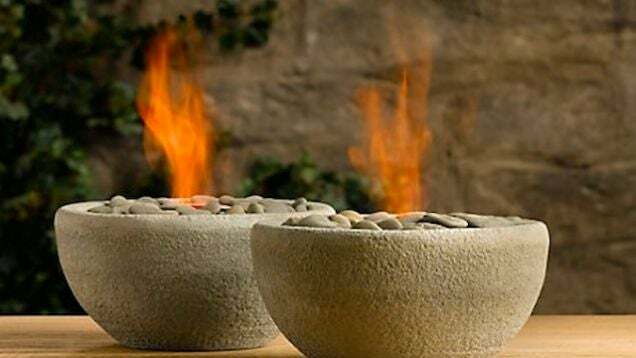 In fact, in an hour or less you could complete a project that will help turn your backyard or balcony into an impressive oasis. Here are 10+ ideas to consider. Nothing kills an outdoor party like insect bites. With the efficacy of citronella in question, you're better off using DEET or picaridin-based products, or making your own with lemon eucalyptus oil. 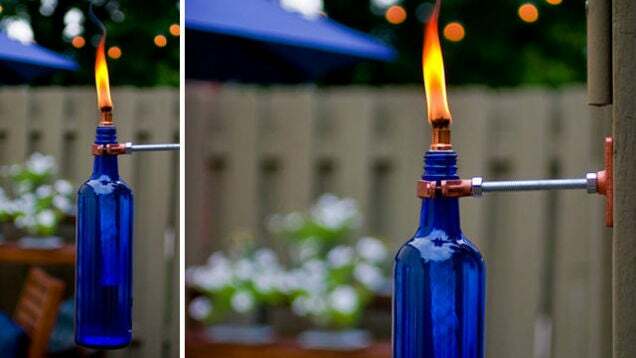 For less personalised protection, turn an empty wine bottle into an attractive mosquito repelling torch. The simplest and quickest bug deterring "project", though? Plug in a fan. Even the smallest of spaces can sport great greenery, as long as you have some sun exposure. This canvas shoe organiser, for example, instantly becomes an herb garden once you hang it up and add some herbs. 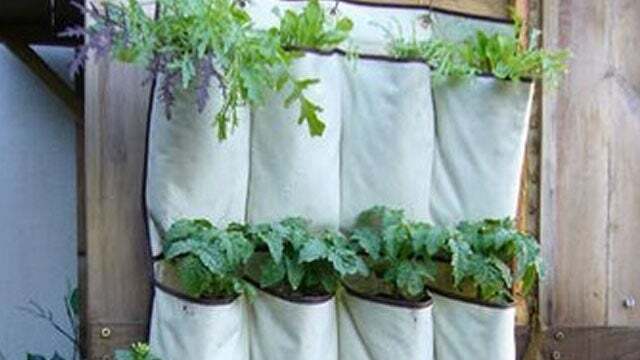 Take it to the next level by adding a hydroponic watering system. Or you could create a vertical garden with a wooden pallet. You can cheaply create a portable projector screen for both indoors or out (a quicker alternative to the Wired build shown above, which takes an afternoon at least). If you want to get more advanced than that and have more money (and possibly more time to spend), you'll find answers to all things outdoor theatre at BackyardTheater. 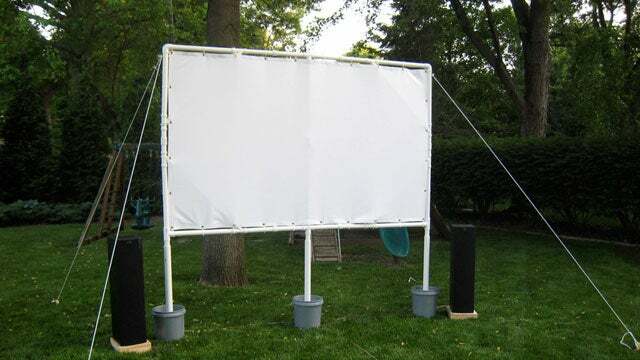 Oh, if you're wondering if a backyard theatre is actually legal, don't worry, we've got you covered (hint: it is, as long as you didn't pirate whatever you plan to watch). 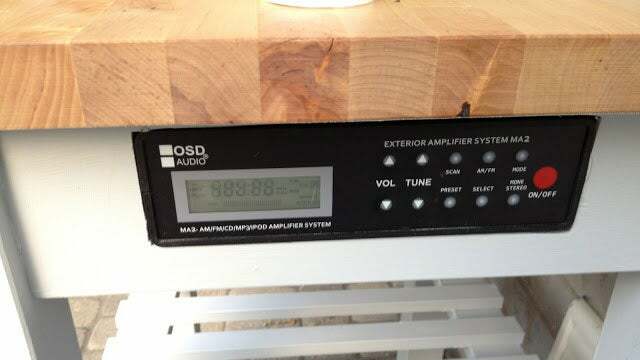 You gotta have good tunes for your outdoor oasis. Build audio components into an outdoor table or, for an easier solution, just stream music with Plex to your mobile phone (hooked up to portable or outdoor speakers). You can even make your own waterproof speakers (that float!). Of course, even simpler options exist if you're willing to go down the path of AirPlay and the like. Cooking outdoors doesn't have to be limited to just your BBQ. 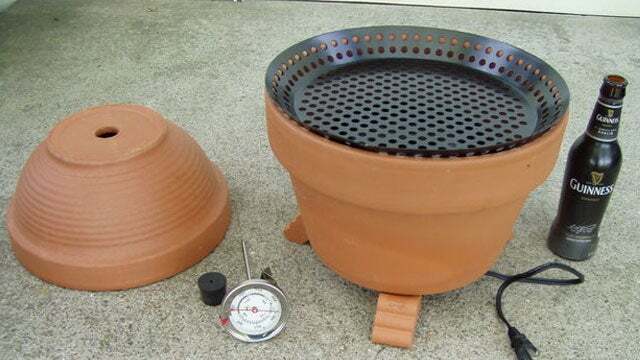 Make a cheap tandoor oven for baking naan and other flatbreads using just some terra cotta pots, a metal bucket and some sand. The sun can be surprisingly bright, especially considering the time of year. 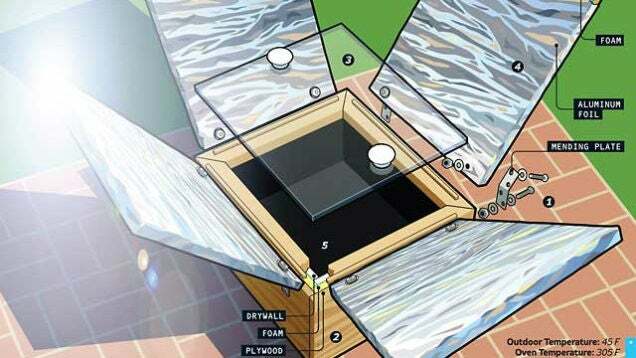 Make your own simple shade sail to help reduce the glare. If you don't want to go the DIY route, just make sure you know what you're looking for in a commercial smoker. How about some simple, cheap mood lighting? 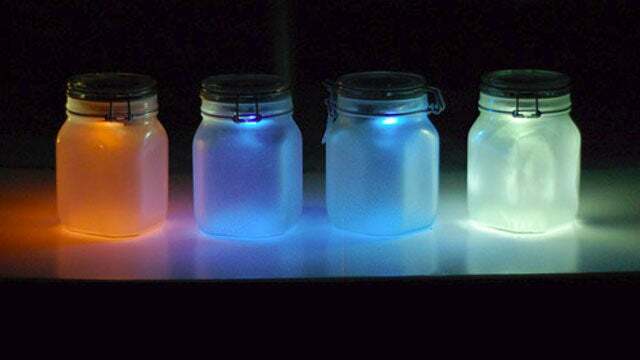 Ubiquitous jars make handy hanging candle lanterns or battery-powered LED garden lights. 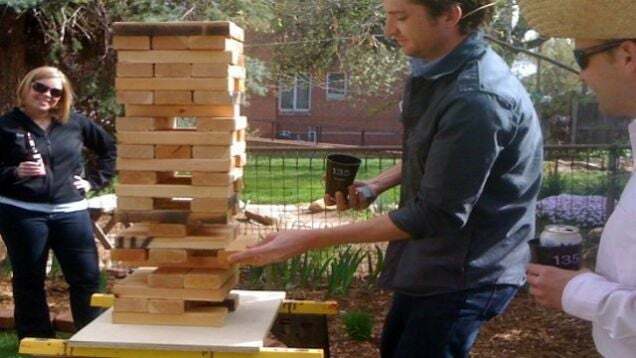 Finally, liven up the outdoors with some classic fun games, like this DIY giant Jenga, super-sized DIY bubble wand, or a lawn game made from pipes. Enjoy! 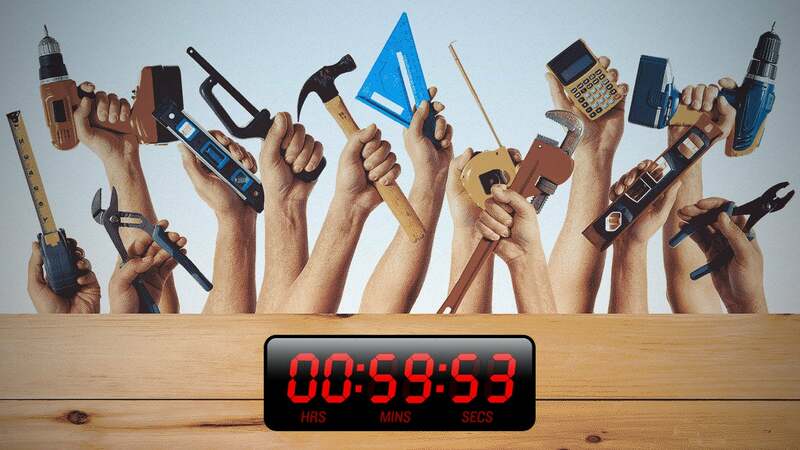 This article first appeared on Lifehacker Australia in July 2014. It has been updated since its original publication. For added fun, use bricks to make that giant jenga game to crush some toes when it all crashes down! then, if you really wanna make it awesome, cover the bricks in lighter fluid and set them on fire. Bricks? Harden up, use cinder blocks.